The representative of India in Houston, Consul General Dr Anupam Ray along with his wife Dr Amit Ray and their family visited the Bohra Masjid on Sunday to show empathy and solidarity with Muslims and all who believe in peace, love and humanity in the wake of the New Zealand terror attacks. During his visit he stated that he was a firm believer in the notion ‘vasudeva kutumbakam’ (the entire world is one family). 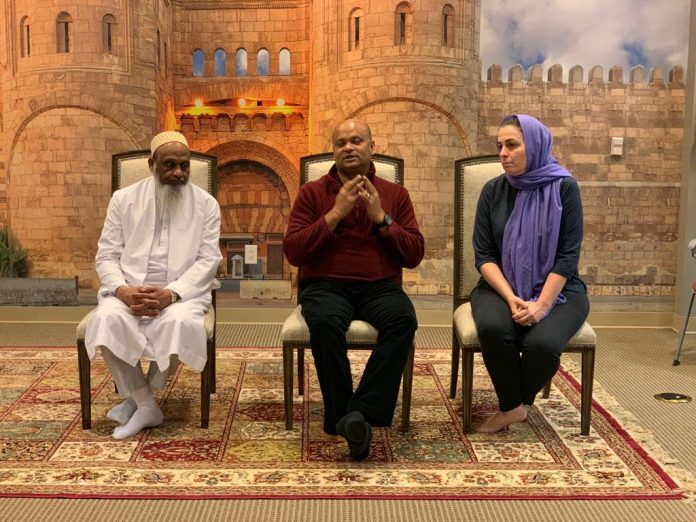 He further stated that he was a Hindu and his wife was Jewish but they were all Muslims when it came to universal love and peace, highlighting how religious diversity is not something to fear, but to embrace and learn from.